TeachingLaw.com is an interactive, online series of affordable legal textbooks used in law schools across the country. These textbooks provide interactive legal content, such as annotated samples, helpful links, and videos by students and practitioners, as well as helpful tools, such as practice tests, study aids, quizzes, and self-assessments to engage the students in and out of the classroom. The textbooks are provided online at an affordable price, and students and professors can access them on their computers, tablets, or mobile phones. Professors can set up specific classes and monitor their students' progress. TeachingLaw.com was created by Diana R. Donahoe, a professor at Georgetown University Law Center, and the textbooks are published by Georgetown University Law Library. The textbooks are updated twice a year to address advances in the legal profession and to ensure that materials and research sources are current. Email Teachinglaw.com@gmail.com for free professor access. Click for video demo for content, functionality, and navigation. Email for free professor access. Professors who choose to adopt these textbooks can rely on innovate legal content and interactive materials to ensure that their students learn and retain information. Professors assign engaging readings as well as quizzes and assessments to help students learn the material in a meaningful way. Links to videos, external sources, and research platforms provide students with multiple layers of information and active learning environments. Professors simply link to the "readings" through their syllabi. 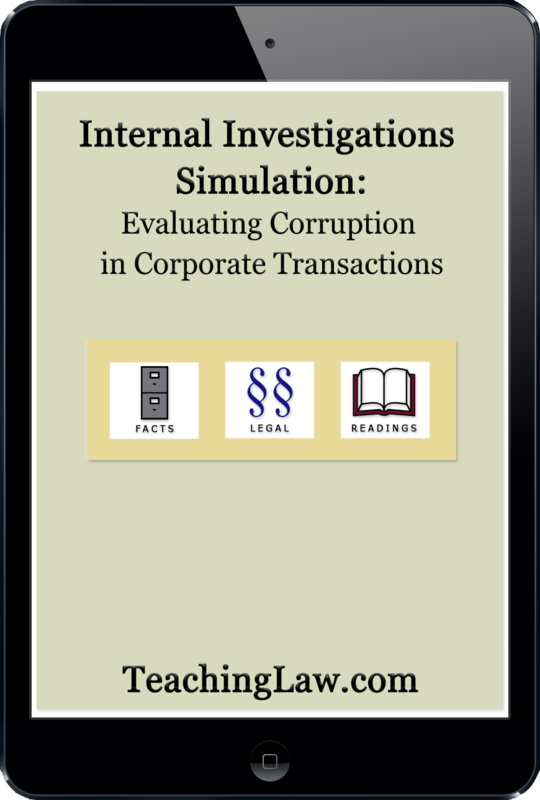 In the classroom, professors can use the exercises and simulation materials to provide experiential learning modules, simulations, and immersive learning techniques to help students learn to engage in the practice of law. Professors can monitor their students progress throughout the course through their professor access. 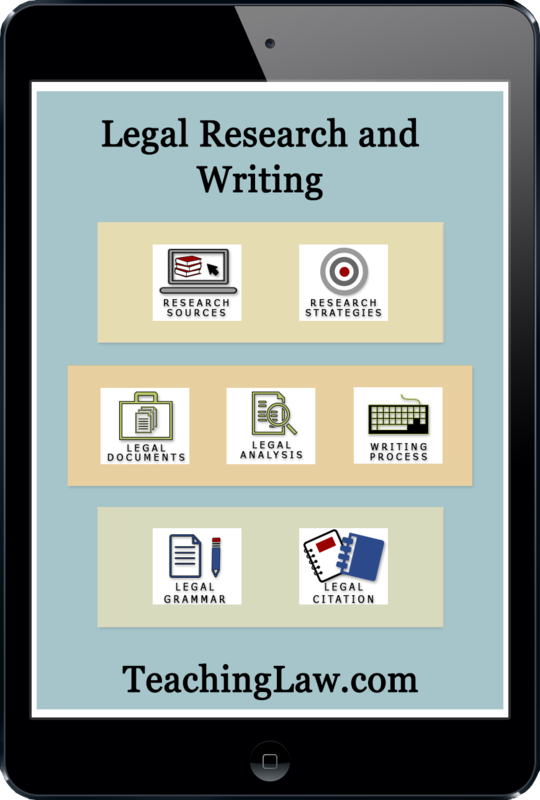 Professors who are interested in any of the TeachingLaw books can request free trial access. Once a professor adopts a book for a course, that free access will be extended. Students may purchase TeachingLaw books on their own or through a course. Once registered, students receive three year access to the book. Students can surf the materials on their own or do the assigned readings linked directly from their syllabi. The "readings" include appropriate legal content, links to external sources, videos, annotated samples, and other interactive materials. In addition, students can rely on study aids, checklists, and charts to help study and retain the information. They can also take quizzes and self assessments to test their knowledge and receive immediate feedback regarding their progress. Students appreciate the interactive materials, the affordable access, and weight-free books.